Alice Cooper should need no introduction. One of the biggest artists in the world in the 70’s who fell upon some dark times in the early 80’s before rising to commercial acclaim with the overtly radio rock of 1989’s “Trash” and 1991’s “Hey Stoopid”. When the fad for big enriched choruses and hooks was blown out of public taste with the emergence of grunge Cooper went back to a more stripped down approach. 1994’s excellent “The Last Temptation” was his last album to score any real merit to these ears with the follows ups all being home to 1 or 2 good tracks but mostly lacking that vital spark that made his classic works from the 70’s so compelling. So when I heard the Coop was working with esteemed producer Bob Ezrin for a follow up to one of his best “Welcome To My Nightmare” my hopes were high. Fortunately this is for the most part the best thing Alice has done since “The Last Temptation” but still not perfect. Opener “I Am Made Of You” is restraint and introspective, and nicely reuses the piano motif from “Steven” off the original Nightmare release, not too sure about the vocoder in places on Alice’s vocals but the track is a soulful winner and the dark mood welcomes you nicely and kicks the albums off on a high. The 70’s meets modern day pop chants of “Caffeine” is classic radio ready Cooper. The piano motif is expanded on for the short “The Nightmare Returns” which runs into the swampy blues of “A Runaway Train” and then the vaudeville campness of “Last Man On Earth” works a treat with Alice’s unique voice. “The Congregation” has hints of glam rock about it which is followed up by the Stonesy “I’ll Bite Your Face Off” which is home to a vintage Cooper bridge and chorus. “Disco Bloodbath Boogie Fever” is perfectly summed up by the title and rather bad and like its follow up, the radio friendly 60’s tinted punk of “Ghouls Gone Wild” see the album hit a low ebb midway through. 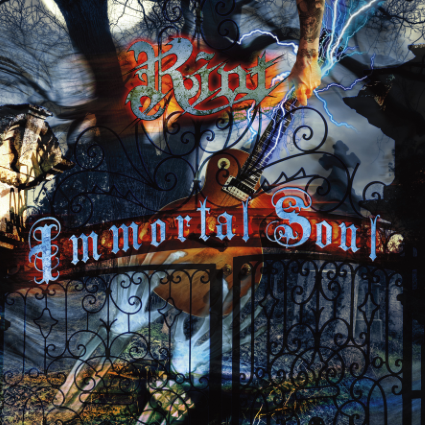 Ballad “Something To Remember Me By” restores the balance and is a nice addition to the Cooper ballad collection leading way to the mid tempo, dark and effected “When Hell Comes Home”, a track that takes a few spins to get into but ultimately is worth the effort. “What Baby Wants” is likeable for all the wrong reasons, the most commercial track on the album for this is bland modern day throwaway rock pop duet with Ke$ha, but I hope Alice manages to cash in a little on this track. Penultimate number “I Gotta Get Out Of Here” is almost classic rock with a country tinge, likeable enough but nothing mind-blowing whilst album closer “The Underture” is a collage of instrumental passes from the both Nightmare stories and is a fitting end. “Welcome 2 My Nightmare” is not as a good as its 70’s sibling, but its good to hear Alice with Ezrin again, the musicality of the album is varied and mostly excellent, but I suspect this album will be an acquired taste to many. Those Cooper fans that like the Trash/Hey Stoopid era should probably check out some clips first before buying, and those that likes the 70’s vintage exclusively might be recommended to do the same. But, if you like Cooper across all era’s and like that Alice’s many voices then this is a worthwhile release. This entry was posted in Reviews and tagged Alice, Alice Cooper, bob ezrin, Cooper, Kesha, Nightmare, review, welcome 2 my nightmare, Welcome to My Nightmare. Bookmark the permalink. The title of this new Riot album says something about the band. Riot have been going at it for well over 30 years, yet success on a big scale has always eluded them. After a long absence, the band is back in the Thundersteel line up, with the addition of long serving second axeman Mike Flyntz. So we get Mark Reale and Flyntz on guitars, drummer extraordinaire Bobby Jarzombek, Don Van Stavern on bass and Tony Moore. Opening track “Still Your Man” references quite clearly to Thundersteel’s “Johnny’s Back” and sets the scene. Second tune “Riot” is a feisty up tempo headbanger with the focus on the twin guitars of Flyntz and Reale. “Crawling” is a tad slower, a menacing tune with a hint of the oriental. Who needs the current crop of so-called “power” metal bands, when Riot serves up speed metal like “Wings Are For Angels”? The onslaught continues with “Sins Of The Father”, another scorching track. Short intrumental interlude “Majestica” hints at albums like Inishmore. The title track is a semi ballad, or as close as it gets on this blazing disc. “Insanity” is a bit messy, but the chorus is damn catchy. “Whiskey Man” wouldn’t have been out of place on Privilege Of Power, but it also references earlier incarnations of the band. In “Believe” Moore goes for the high notes again. He’s straining a bit, it has to be said. Album closer “Echoes” is a rather complex composition, with Moore yet again howling like a banshee. Tony Moore has a recognizable voice, but he doesn’t constantly soar in the upper registers like he did some 20 years ago. There’s more variation in his voice. Jarzombek is one of the best metal drummers around. Together with Van Stavern he lays down a rock solid basis. Reale and Flyntz are two of the most underrated guitar players in metal. Some of the playing on this album is staggering. It always has been on Riot albums, especially from Thundersteel onward. Of course, all that doesn’t amount to much if the songs are lacking. But if there’s one thing Riot has never lacked, it’s good tunes. While the production isn’t quite up to the level of Thundersteel or its follow up Privilege Of Power, it holds up to today’s standards. Points of criticism? Sure. The vocal melodies are a bit forced at times. Moore’s voice may be an acquired taste. Some of the songs could have done with a bit more streamlining. But those are small niggles when faced with so fiery an album. Riot have been producing quality heavy metal for ages. So far, they have received precious little recognition for it… Don’t let this band go the way of Metal Church, Jag Panzer and so many other great bands that have fallen by the wayside. This entry was posted in Reviews and tagged Bobby Jarzombek, Immortal, Jag Panzer, Mark Reale, review, Riot, Thundersteel, Tony Moore. Bookmark the permalink. Fastway never quite made the big time. Formed by Fast Eddie Clarke and Pete Way (who bailed even before the debut was released), the band was an also ran in the mid eighties. Can this new album bring them to the top of the (admittedly much lower) heap today? Well, I doubt it. There isn’t a lot of fire, for one. Mid tempo, a bit dreary at times, the album just trudges on. Toby Jepson doesn’t exactly inject much adrenaline into proceedings either. He’s an average singer at best and can’t save the material. He does a good job on “Who Do You Believe” though. Overall this sounds like a tired band. Whereas Brian Robertson managed to recapture some of his magic on his solo album, Fast Eddie doesn’t do anything remotely fast. He’s a shadow of himself these days. There’s a couple of good songs, like “Deliver Me” and “Dead And Gone”, but overall this is a very un-exciting album. Cliche tracks like “Leave The Light On” or “Freedom Song” just make me shake my head. “Sick As A Dog”? Yep, that’s how I’m starting to feel. 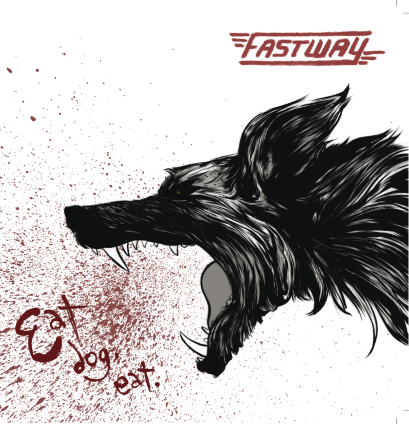 This entry was posted in Reviews and tagged Brian Robertson, Eat Dog Eat, Eddie Clarke, Fastaway, Pete Way, review, Toby Jepson. Bookmark the permalink. 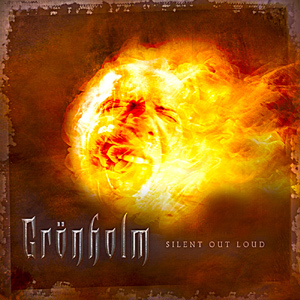 Second strike from Finnish metallers Grönholm, led by guitarist/songwriter Mika Grönholm once again joined by vocalist Markku Kuikka (Status Minor) and drummer Tom Rask. 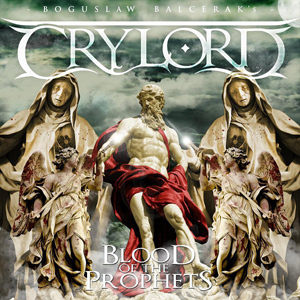 As with its predecessor (Eyewitness Of Life) a couple of guest musicians are involved in the guise of Billy Sherwood (ex Yes) and Marco Hietala (Nightwish / Tarot) who add some extra dynamics to backing vocals. “Silent Out Loud” overall proves to be a better offering than the debut with a more cohesive sound and better song writing. Tracks such as opener “Cross Of Mind” and the mid tempo “Out From The Nest” are full of irresistible melodies and great new songs. Whilst darker tracks like “Under My Star” and “Vanity” have a dark, almost Alice In Chains style vibe with their harmonised vocals over detuned riffs. Mika Grönholm wrote all the tracks in a drop B tuning and this adds to the darker depths plunged on the album and serves up a Kings X style delivery on the progressive tinted instrumental “Giant Steps”. The album doesn’t go out with quite the bang one would hope with 3 acoustic numbers closing the release, but on their own merits these are also nice songs. Overall, a stronger offering second time round from Grönholm, and if they can deliver more of the sound heard on the likes of “Cross Of Mind” and “Out From The Nest” they could deliver something truly special. All in all, a solid release, well produced and a nice step in the right direction. This entry was posted in Reviews and tagged Billy Sherwood, Gronholm, Lion Music, Marco Hietala, Markku Kuikka, Mika Gronholm, Nightwish, review, Silent Out Loud, Tarot, Tom Rask. Bookmark the permalink. 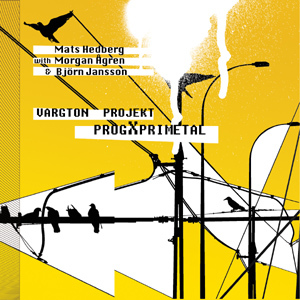 Debut instrumental solo album from Danish guitarist and mastermind of Infinity Overture one Niels Vejlyt. As is nearly always the norm for this sort of thing from Lion Music we get highly competent playing over listenable songs. 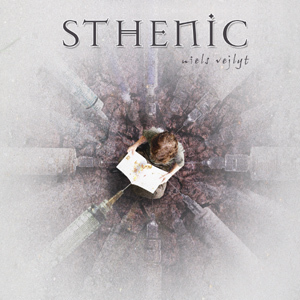 With a heavier edge than many of ilk, no doubt aided by Vejlyt’s penchant for 7 and 8 string guitars, this is a nice offering for anyone into similar works from the likes of Jeff Loomis or John Petrucci. Tracks like “Die Today”, “Rain” and particularly “Samurai” are solid compositions with good melodies and a good sense of direction – no aimless fretboard wanking here. In addition there are moments of lighter note such as the anthemic Vai-esque timbres of “Head’s Up” (the clue to the Vai influence being in the title perhaps?) and the piano/guitar balladry of “Kajsa” whilst closing number, the 9 minute “Winter” sums up the various moods of the album in one composition rather nicely. With a better production than many heard of late and a nice mix from Tommy Hansen (Helloween) this is a very solid package indeed and a nice addition to any fan of guitar instrumentals collection – cool artwork too by Matthias Noren. This entry was posted in Reviews and tagged Infinity Overture, Jeff Loomis, John Petrucci, Lion Music, Niels Vejlyt, review, Steve Vai, Sthenic, Tommy Hansen. Bookmark the permalink. Its not everyday you come across an independent release so well assured and quality packed as the debut offering from Australian Ben Craven. 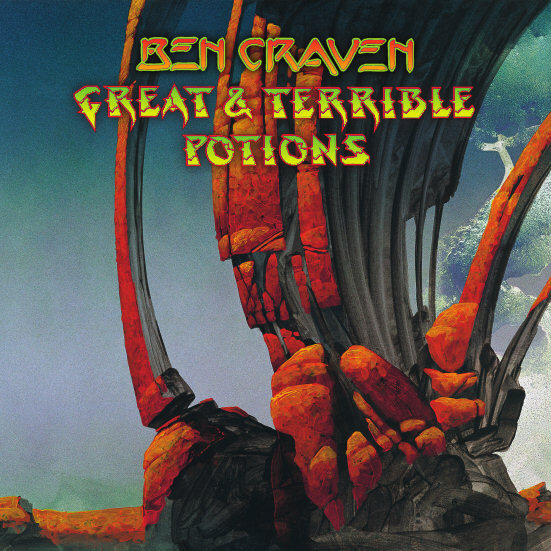 Handling ALL instrumentation on this progressive offering which serves up timbres of an updated collection of the finest 70’s prog, Ben Craven has delivered an album that is quite breathtaking. Home to 9 tracks (and a further 3 single edits), ‘Great & Terrible Potions’ is a corker from start to finish. Reminding me of vintage Pink Floyd fused with a little Genesis and Yes not to mention a smattering of Steve Hackett’s solo works, these compositions also offer a more modern edge thanks to modern production and guitar tones. Fans of more modern prog bands like Kaipa, Transatlantic and Spocks Beard will also be in heaven here. Tracks like the instrumental ‘Aquamarine’ , the commercial edge of ‘Ready to Lose’ which comes across as a heady mix of Yes and Steely Dan, the Floyd-ish ‘The Conjurer’ (thanks to Gilmour-esque slide parts) whilst the epic 10 minutes of ‘No Specific Harm’ and 9 minutes of the title track are quite superb. The former being an absolute masterpiece leaning to a darker and more eerie tone adding a nice balance of styles whilst the later serves as a great album closer and using themes explored throughout the album to give a good sense of closure. Elsewhere we have a collection of shorter numbers which do a nice job of keeping the album flowing and are all highly listenable. Distinctive artwork by Roger Dean is sure to draw in some fans on visuals along, but the music is as visually rich and with a decent set of headphones on will transport you far away. A one man musical revelation, Ben Craven is certainly a name to look out for and it’s a wonder no label has snapped this release up, maybe someone will for his next adventure which I thoroughly look forward to. Prog fans order this asap. This entry was posted in Reviews and tagged Ben Craven, David Gilmour, great and terrible potions, Pink Floyd, review, Steely Dan, Steve Hackett, Syd Barrett. Bookmark the permalink. 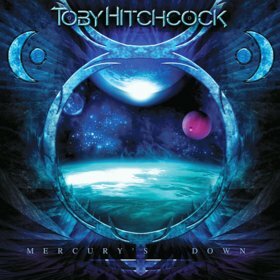 Toby Hitchcock made his mark with Jim Peterik‘s Pride Of Lions. Stepping out from under the wings of his mentor, “Mercury’s Down” sees a collaboration with Erik Martensson (of Eclipse and W.E.T. Fame). Martensson’s influence is obvious from the off. Opening track “This Is The Moment” is more modern and heavier than anything we’ve heard from Toby so far. “Strong Enough” might be considered a high energy homage to Survivor. Maybe one to include on the soundtrack of an upcoming Rocky movie? I could sum up all the songs, but what would be the point? It’s strong melodic rock, well produced and perfectly executed. If there was any justice in the world “I Should Have Said” would be a major hit. “Summer Nights In Cabo” lacks Sammy’s happy go lucky touch though. If you liked W.E.T. Or are a fan of Toby’s work in PoL you can’t go wrong with this album. Maybe a bit formulaic, that’s about the only criticism I can think of. This entry was posted in Reviews and tagged frontiers, Hard rock, Jim Peterik, melodic, Mercury's Down, metal, review, Toby Hitchcock, Toby Keith. Bookmark the permalink. Former Vicious Rumors bass player Dave Starr returns to the fore with this new project alongside singer London Wilde. Musically there aren’t many surprises. US power metal with strong hints of Vicious Rumors. Well executed, well written and very enjoyable. I’m always pleased when I hear a female singer who doesn’t do the operatic thing. Check out “Rise” and you’ll know what I mean. Whether it’s straight headbanging fare like opener “Rose In The Dark” or “Generation Next”, or more epic material such as “Touching God” and “Down Of The Sun”, the band acquit themselves with equal panache. Starr handles lead guitars as well as bass duties, and does a very good job at it. All those years watching Geoff Thorpe must have rubbed off on him. The guitar tones could have been better, frankly. It’s not so bad that it will detract from your enjoyment, but the rhythm guitars sound needlessly buzzy and, well, cheap… Other than that niggle, production is actually quite good. No, it doesn’t sound massive like a good Andy Sneap job, but I’ve heard a lot worse from bands with a supposedly bigger budget. Overall this is an album that breathes the true spirit of heavy metal. It’s a labour of love, a well crafted slice of heavy metal that ticks all the right boxes. Will it get them anywhere? Probably not… Gimmicks count for a lot more than quality music in today’s metal scene. But that doesn’t alter the fact that this is a killer metal album that’ll take you back to the heady days of the mid eighties, when bands like Vicious Rumors and Crimson Glory started making their mark. 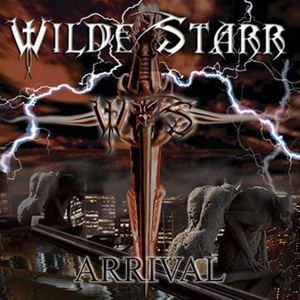 This entry was posted in Reviews and tagged arrival, melodic power metal, review, Vicious Rumors, wilde starr. Bookmark the permalink.